The Microtangling technique is the process of taking a certain tangle and transforming it into a more compact and tighter design, which can lead to much more detailed and relaxing-to-make art pieces. This lesson will show you how to transform some of your favorite tangles into their Microtangle counterparts, providing you with many long moments of de-stressing Zen-flow. In this lesson, it's all about slowing down and enjoying the process of drawing. Whats the difference between Microtangling and normal Tangling? The beneficial effects of repetition are at the heart of the Zentangle method. Microtangling transforms your favorite tangles into smaller, tighter, denser micro-versions, a process which forces you to slow down and create more repetitions. In this lesson, it's all about slowing down and enjoying the process of drawing. By drawing micro-versions of your favorite tangles, you are forced to slow down, breathe better and really enjoy the process of drawing. Learn how to reach many moments of blissful Zenflow with my favorite technique, Microtangling, where you reduce and adapt your favorite tangles to dense and intricate surfaces. Learn to adapt your favorite tangles into intricate, tiny Microtangles. 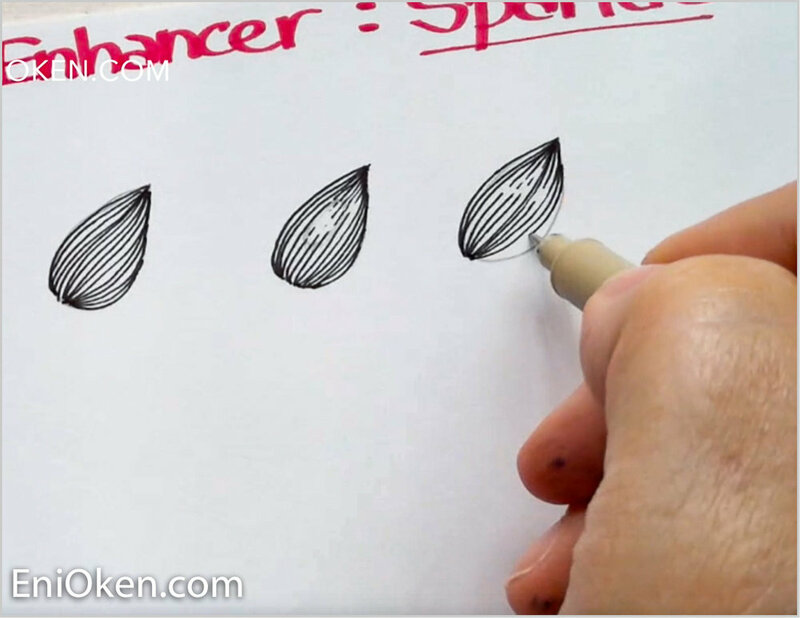 Learn how to add details and how to use the tangle enhancer Sparkles. Learn how to use Echo lines to enhance and complement your Microtangled pieces. 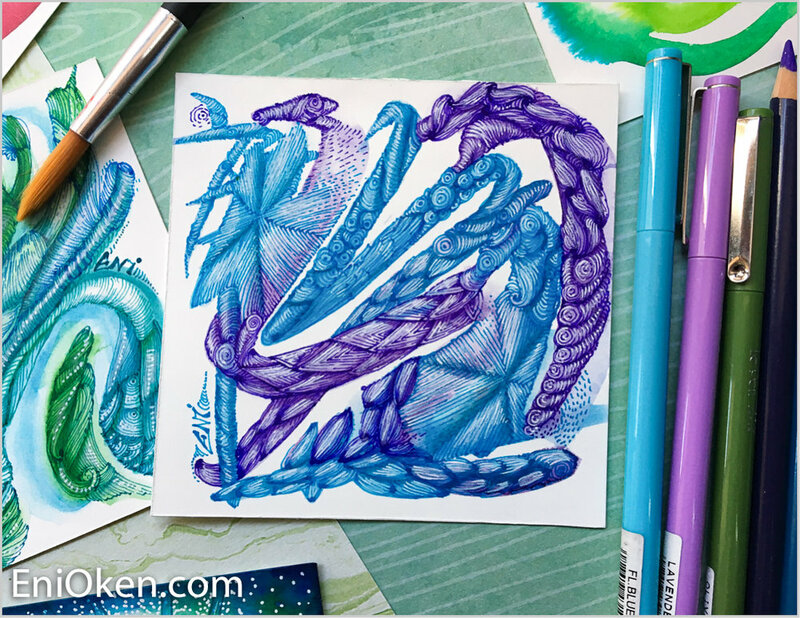 Learn how to add color into your Microtangles with watercolors and colored pencils, in a super limited palette. Complete two Microtangled projects, one in black and white and one in color. And so many more tips and tricks! Fine-liners inking pens in two different colors. My favorites are the Marvy Le Pen fine-liners. Two colored pencils matching the colors of the fineliners. My favorite are Polychromos. White gel pen. My favorite is Sakura White Gelly Roll 10. Create tons of detail and intricacy! Other copyrights are of their respective owners.